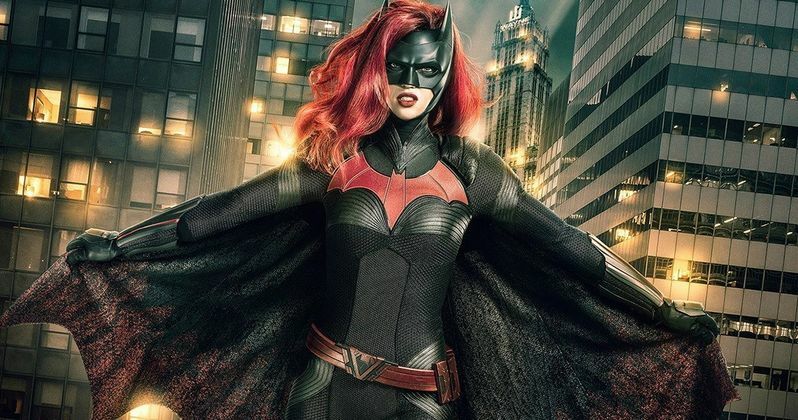 In a tease of the upcoming Arrowverse crossover event, "Elseworlds," DC and the CW have released the first look at Batwoman, played by actress Ruby Rose. Rose will be playing this female Caped Crusader for the three episode run of the "Elseworlds" crossover event, and has potential to have her own series down the road. Ruby Rose was first announced to be playing Katherine Kane / Batwoman earlier this year. This announcement was met with both positive and negative responses, much like most other superhero casting announcements. Unfortunately, some of the more negative reactions to Rose's casting were rather rude and harmful, leading to Rose ultimately deleting her Twitter account in order to avoid the negativity and hate. Rose took the role of Batwoman primarily to help shed more light on an unrepresented community. Rose is a notable member of the LGBTQ community, so playing a character who has been described as the "highest profile gay superhero" was certainly a great opportunity for Rose to represent the LGBTQ community further. The first look at Ruby Rose as Batwoman has certainly blown expectations away. Unlike some other Arrowverse costumes, Batwoman's appears to be incredibly intricate and comic-book accurate. The color scheme of her suit and cape also blends perfectly with her bright red hair, being the perfect live action adaptation of Batwoman that many DC fans have been asking for for years. "Elseworlds" will be the first time that the Arrowverse will travel to Gotham City. Though the iconic comic-book city has been mentioned time and time again in the Arrowverse, it never appeared on screen. Six years after the Arrowverse first launched, the heroes of the different shows will finally be making their way to the home of Batman, but instead of meeting Bruce Wayne himself, the heroes will come face to face with Batwoman. CW is currently developing a series dedicated completely to Ruby Rose's Batwoman, which will presumably take place solely in Gotham and work in a similar way to Supergirl, which also stars the female version of one of DC's most iconic heroes. However, there is no guarantee that the CW will even green light this show, as it has yet to be officially announced. More than likely, the CW will make a final judgement on whether or not to proceed with the Batwoman series when they see the reaction to Katherine Kane in Elseworlds this December. Though many people notably had their doubts about Batwoman, hopefully this new look at Ruby Rose, released by DC, will put a lot of concerns at rest. Her look is certainly visually appealing, and is almost identical to how Katherine Kane looked in her cape and cowl in the comics. Time will only tell if Ruby Rose can give the stellar performance as Batwoman that the fans want to see, and if the CW will give her her own spin-off series like they did for The Flash and Supergirl. You can see Ruby Rose's performance as Batwoman when the "Elseworlds" event starts on CW on December 9th.